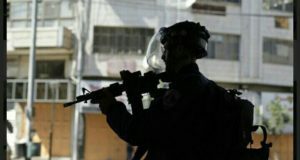 Several people were wounded on Saturday in scuffles between Israeli soldiers and peace activists accompanying Palestinians to agricultural fields in the occupied West Bank, witnesses said. Palestinian witnesses said several people, including a Reuters photographer, were treated for bruises and minor wounds. 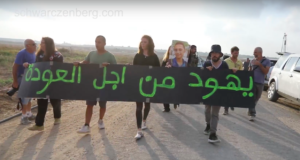 The scuffles erupted when soldiers tried to prevent Israeli peace activists from entering fields in Safa, north of the city of Hebron. 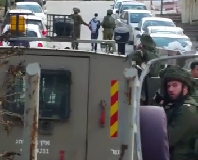 An army spokesman said the area was a military zone closed to Israelis and foreigners but open to Palestinians. He said some 15 people were arrested.